Lock in a great price for Best Western Vientiane – rated 8.6 by recent guests! Great staff who were friendly and professional. Convenient location for access to sights, restaurants and night market. Good breakfast. Free airport transfer appreciated. Location is perfect right along the Mekong... except during the Boat Racing Festival!!! It was crazy loud, but thankfully Sarah was a true gem and switched my room. Normally a street facing room with balcony is desirable, but not this time! Breakfast is great, and the staff are all very friendly and attentive. Be sure to take advantage of the free airport shuttle, they even waited for me as I had to obtain a visa on arrival. So many eating places nearby! Clean rooms. Good air con. This is a hotel That I stay at quite often and take friends for meals. Clean, comfortable. Welcoming friendly helpful staff. English spoken. The staff was extremely helpful. My room was facing the street and I asked if I can change it, because of the street noise disturbed me. The manager not only cahnged it, bit she also offered me an upgrade, and she was very simphatetic. Hotel location was very good, nearby to night market and lots of local food. Staff spoke english, they were very friendly and helpful. The range of options for breakfast was good. We were disappointed there wasn't more fresh fruit available as is often the case in hotels throughout Asia. The cooked meal was average-good. Best Western Vientiane This rating is a reflection of how the property compares to the industry standard when it comes to price, facilities and services available. It's based on a self-evaluation by the property. Use this rating to help choose your stay! One of our best sellers in Vientiane! Located right in the city center, Best Western Vientiane Hotel offers free WiFi, a rooftop swimming pool and the convenience of a 24-hour front desk. Decorated with dark wood furniture, the rooms are all air-conditioned and have a satellite TV, a fridge and a mini-bar. There is also an in-room safe, a direct dial telephone and a work desk area. Iron and ironing board can be requested during their stay. All rooms have an private bathroom fitted with a hot and cold shower, towels and complimentary toiletries. 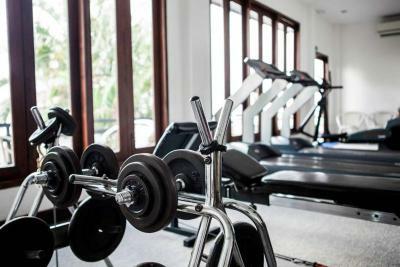 During their stay at Best Western, guests can exercise in the fitness room or relax in the sauna. Alternatively, they can also enjoy the afternoon sun by the pool on the sun loungers. Other facilities include laundry services, currency exchange and luggage storage. American breakfast is served daily at the restaurant. For refreshing cocktails, head over to the hotel’s lounge. Room service is also available daily between 06:00 – 00:00 hrs. Best Western Vientiane Hotel is a 15-minute drive from Wattay International Airport. It is a 5-minute drive from Talat Sao Market and only 0.9 mi to the historical Haw Phra Kaew temple. Corporate offices and banks are all under 1.2 mi from the hotel. This is our guests' favorite part of Vientiane, according to independent reviews. This property also has one of the top-rated locations in Vientiane! Guests are happier about it compared to other properties in the area. This property is also rated for the best value in Vientiane! Guests are getting more for their money when compared to other properties in this city. When would you like to stay at Best Western Vientiane? 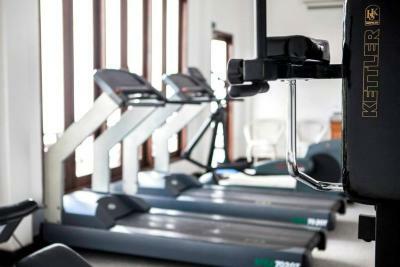 Larger air-conditioned room is fitted with a satellite TV, a mini-bar and a safety deposit box. A hairdryer, slippers and bathrobes are provided. Air-conditioned room is fitted with a satellite TV, a mini-bar and a safety deposit box. A hairdryer, slippers and bathrobes are provided. This double room has air conditioning, sofa and mini-bar. This double room features a view, bathrobe and mini-bar. This single room has air conditioning, mini-bar and sofa. This single room features a mini-bar, sofa and air conditioning. This double room has a satellite TV, bathrobe and mini-bar. House Rules Best Western Vientiane takes special requests – add in the next step! One older child or adult is charged USD 28 per person per night in an extra bed. Best Western Vientiane accepts these cards and reserves the right to temporarily hold an amount prior to arrival. Please note that the property offers complimentary two-way airport transfer services for international flights only. Guests are kindly advised to contact the property directly for more information. The staff switched our first room from 201 to 305 because there were numerous ants in room 201. Breakfast was ok, but they got our order wrong on 3 of our 6 breakfasts. They added a 3% surcharge for using a credit card. That wasn't mentioned on Bookings.com. Location was good. Airport shuttle was good. Internet access was OK but not great. Sarah at reception was very professional and friendly and the best English-speaker we met at a hotel in Laos or Cambodia. There are plenty of good cheap (and not-so-cheap) restaurants in the same street. Short walk to riverfront promenade and to some of the major sites. I have stayed there many times for business. I had a colleague who had a few too many and she asked to stay in my room there. The staff charged me $50 extra (room was $65) and said because I didn’t specify 2 people when I booked the room. The price was roughly the same for 1 or 2 people when booked it. I will never stay there again unfortunately. Typical scam of tourists. The rooms were spacious and air conditioning was great. The staff here were super helpful and polite. Breakfast was great! Pool area was also good, however no sun in the afternoon due to surrounding buildings. Amazing that they have free airport transfers, saves a lot of money there. There were little bugs around, but it seems everywhere we went they were around. Right next to the night markets which was my favourite part! The wifi was really patchy and didn't work at all by the pool. The hotel and rooms are dated.